Meet and greet upon arrival at Coimbatore Airport/ Railway Station. Later proceed to Ooty. Reach and check-in at the hotel. 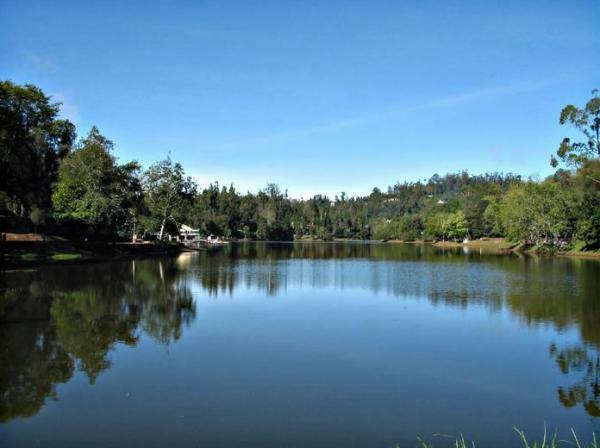 The major attractions of Ooty are Botanical Garden, Ooty Lake "The Dodabetta Peak. Overnight stay at the Hotel/Resort. After enjoying the breakfast proceed for the sightseeing of Coonoor, the place surrounded by the tea plantations. The major attractions of Ooty are Pasteur Institute, Sim's Park; Lamb's Rock. The height of the falls is about 180 feets. It is just a paradise for Nature lovers. Overnight stay at the Hotel/Resort. After having the breakfast, proceed to Kodaikanal. Enroute you can enjoy Silver Cascades, the most beautiful and popular waterfall in Kodaikanal. Reach and heck-in at the hotel relax for a while amidst the comforts of your room. The major attractions of Kodaikanal are Kodaikanal Lake, Pedalling boats,Coaker'sWalk .Overnight stay at the Hotel/Resort. After breakfast proceed for the sightseeing. The major attractions are Museum at Shenbaganur "Shenbagam" or "MicheliaNilagririca", Dolmen Circle, Pillar Rocks;Neptune's Pools are a series of crystal clear rock pools, formed by a stream that runs through pine forests. Overnight stay at the Hotel/Resort. After having breakfast proceed to Munnar, the place where the unfolded green carpet is waiting for you. Munnar is breathtakingly beautiful, a haven of peace and tranquility- the idyllic tourist destination in God's own country. On the way you can also watch the lovely Cheeyappara waterfalls and colorful flowers in Blossom Garden. Check-in at your hotel and relax. Explore the rest of the day along with the nature at your own. Overnight stay at the Hotel/Resort. After breakfast proceed for a morning sightseeing trip of Munnar; visiting the Eravikulam National Park where you can see the very rare mountain goats locally called the NilgiriTahr, visit Mattupetty Dam which offers many fascinating sights to relish. Enroute visit Kundala Lake, Echo Point, View Point & Green carpet of Tea Gardens. Overnight stay in the Resort/Hotel. After having breakfast check out and proceed on time to board your flight/train. Pickup and drop from Airport. Accommodation in mentioned hotels or similar category on twin sharing basis.